How much is Norman Reedus Worth? Norman Reedus net worth and salary: Norman Reedus is an American actor who has a net worth of $18 million. In 2017, Norman's salary per episode of The Walking Dead was $650,000. By 2019 his salary had been boosted to $1 million per episode. 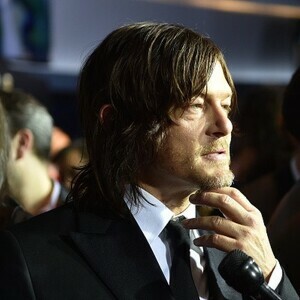 Born in Hollywood, Florida, Norman Reedus moved to Los Angeles and then left home at age 12. He traveled all over the world during his teen years, eventually returning to Los Angeles, where he worked at a Harley -Davidson motorcycle shop while pursuing a career in visual arts. His painting, sculptures, photographs, and video installations appeared in multiple gallery shows around L.A. He was cast in a local production of "Maps for Drowners" in the mid-90s, and began acting and modeling professionally soon after that. He has modeled for Durban, Prada, and Alessandro Dell'Acqua, among other labels. His film credits include supporting roles in such projects as "Mimic", "Dark Harbor", "8MM", "The Boondock Saints" and its sequel, "The Boondock Saints II: All Saints Day", "Gossip", "Blade 2", "The Notorious Bettie Page", and "Cadillac Records". He has guest-starred on such shows as "Charmed" and "Law and Order: SVU". He is currently appearing as Daryl Dixon on the television show, "The Walking Dead" since 2010. 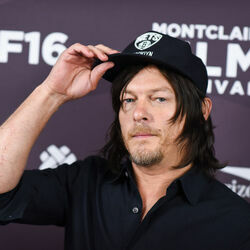 Reedus has also starred in films including Pandorum, The Conspirator, Hello Herman, Iron Man: Rise of Technovore, Sunlight Jr., Pawn Shop Chronicles, Air, Sky, and Triple 9. 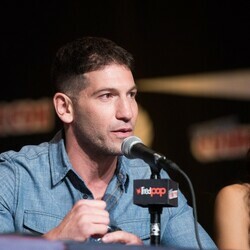 He began hosting the TV series Ride with Norman Reedus in 2016. Reedus has also starred in music videos for Keith Richards, Bjork, R.E.M., Radiohead, Tonic, Tricky, Hilary Duff, Sleater-Kinney, and Lady Gaga. 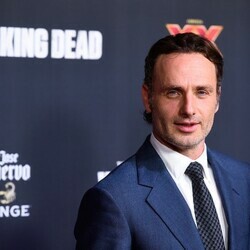 In 2015 he won a Fangoria Chainsaw Award for Best TV Supporting Actor for The Walking Dead. Reedus has also been nominated for multiple Saturn Awards for The Walking Dead. In 2013 he released a book of photography The Sun's Coming Up… Like a Big Bald Head.